Darrelle Revis, right, sustained a concussion against the Texans on Nov. 22. The Jets are taking on Odell Beckham Jr. and the Giants without Darrelle Revis. Coach Todd Bowles said Friday that Revis, the Jets’ star cornerback, would miss Sunday’s game because of a concussion. 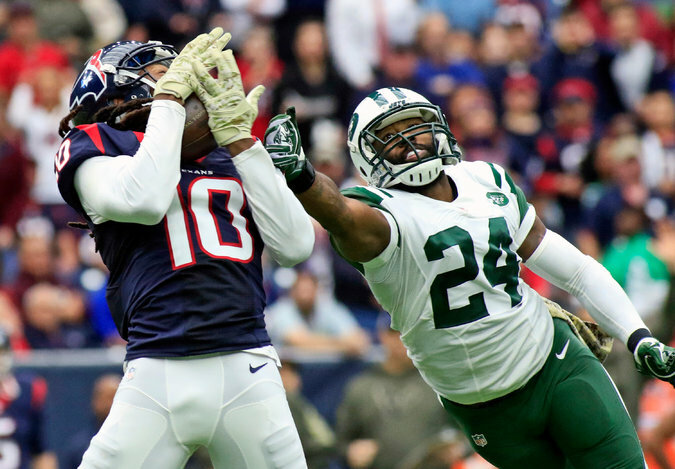 Revis has not practiced or played since sustaining the concussion at Houston on Nov. 22. Marcus Williams, Revis’s backup, is listed as doubtful with a sprained left knee, and Bowles said that he was skeptical Williams would be able to play. The Jets could use a combination of Buster Skrine, Darrin Walls, Dexter McDougle and Dee Milliner in Revis’s spot. Antonio Cromartie could draw the assignment of covering Beckham.